12 minutes and 30 seconds. That’s how long it takes to listen to Ampevene’s new EP, Rometheu. But that’s not the total sum of each of the songs; it’s just one extended track! 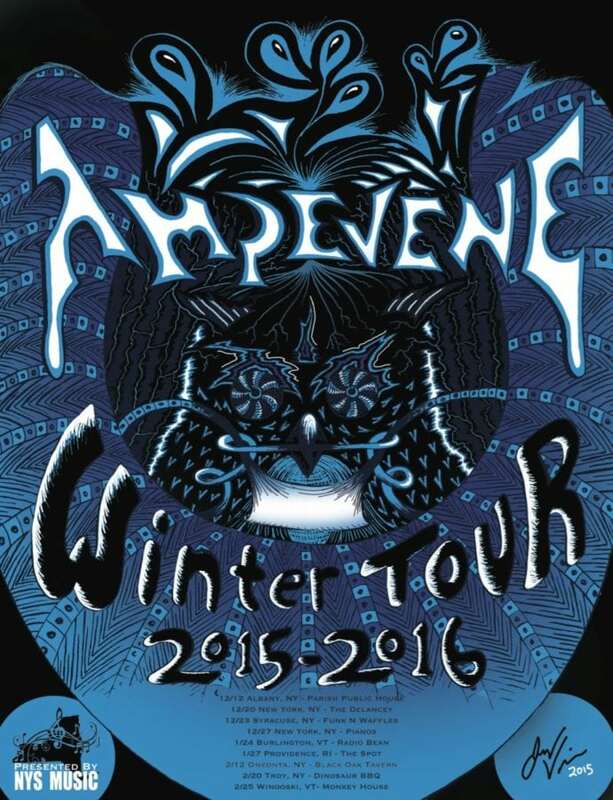 Ampevene is a band that stemmed from Gabe Stallman’s solo project as a guitarist. Now the full band consists of Gabe Stallman on guitar and vocals, Mack Hogan on bass, Bob Morris on drums, and Ava Smith on keys, and Jeff Nania on saxophone. The progressive rock group is based in Albany, so it wasn’t too far to the studio, The Recording Company, in Esperance, NY. It’s not clear by the song why it’s called “Rometheu,” but it is the word “Prometheus” without the first and last letter… Perhaps the song was inspired by Greek mythology? Rometheu starts out with a rock blues that’s very guitar and bass ostinato heavy. The beginning is not in standard 4/4 time, but rather it’s written with a 6/8 feel – where the first and fourth beat are emphasized in each measure. This helps give the track a flowing groove. At around 2:47, the mode shifts into a fast 4/4, really driving the piece forward. The lyrics are posted to accompany the track on Bandcamp, which is immensely helpful. The lines don’t seem to relate directly to one another in a story; the emphasis and poetry are behind each individual line. There are only vocals in the first quarter and very end of the song; it’s clear the music drives this track. The crazy guitar riffs and multi-instrument improvisation are awesome and the instruments sound flawless showcasing their melodic riffs. There’s a point where there is a lack of a clear tonal center, and the band just creates a powerful wall of sound. At around 6:07, a slower groove is established without saxophone at first to allow the audience to breathe after the more intense section. It is here where the piano is high in the mix complementing the haunting guitar melodies. The experimentation with the guitar distortion, some organ sounds, and smooth saxophone is quite soothing and fun to listen to. The coolest part of this track is the juxtaposition between musical ideas/styles. It makes the piece dynamic and engaging throughout. The slow section is immediately followed by a short, quicker ending featuring a quick line of lyrics. Rometheu is very impressive from a compositional standpoint as well as a musicianship standpoint. It’s a track you can’t help but jam along to. 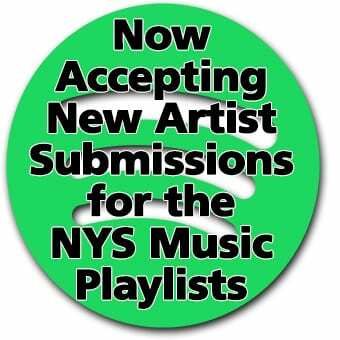 Listen to it on bandcamp here.